One of the most important jobs of the closing attorney during a Massachusetts refinance or purchase transaction is to fully explain the numerous closing costs that a borrower (and seller) must pay at closing. The best way to explain Massachusetts real estate closing costs in a blog post is the same way we would explain it at the closing–by reviewing the HUD-1 Settlement Statement line by line. Prior to the closing, you should have received a Good Faith Estimate of closing costs from your lender. A good mortgage professional will always explain closing costs before you arrive at the closing table. The Good Faith Estimate or GFE will be a precursor of what you’ll be charged at closing, and certain closing costs cannot vary by more than 10% from the GFE. Bring your GFE to the closing to compare it with the HUD Settlement Statement. We’ll use an actual HUD from a recent transaction, deleting the parties and property of course. This is a purchase for $250,000, reflected in line 101. The buyer is taking out a loan of $243,662.00 (line 202) to finance the sale. This is a FHA low down payment loan where the borrower must pay FHA mortgage insurance. The total settlement charges, which are fully broken down on page 2 of the HUD (get to that down below), paid for by the borrower are $7,758.09, line 103. Because the closing took place on Jan. 31, in the middle of the tax fiscal quarter, real estate taxes on line 106 must be adjusted and paid for by the borrower through the end of the quarter, 3/31. As is customary in Mass., the borrower is also paying for home heating oil paid for by the seller and left in the tank (line 109–$241.20). Line 120 tallies up the total amount due from the borrower at closing. Deducted from that number is the buyer’s deposit of $2,500 (line 201), and the buyer’s new loan of $243,662.00 (line 202). This borrower also fortunately received a seller closing cost credit of $5,708.93 (line 204) and a lender closing cost credit of $609.16 (line 205). Those credits really helped this borrower defray the closing costs. In this transaction, there is a difference of $6,250.00 between the gross amount due from the borrower less the amounts paid by or for the borrower, which must be paid at at the closing (line 303). The borrower must bring a certified or bank check payable to himself (for fraud protection) for that amount to the closing. Page 2 of the HUD Settlement Statement itemizes all of the various closing costs, both from the borrower’s and seller sides. 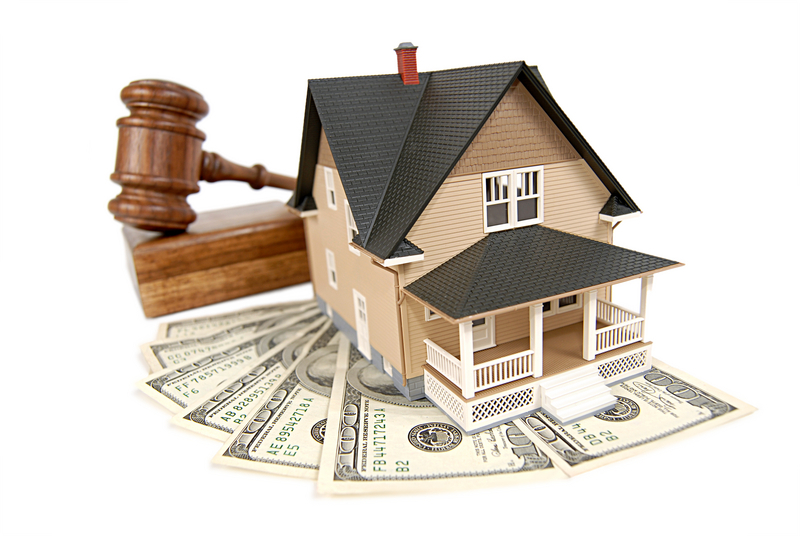 In Massachusetts, the seller pays the real estate broker commission. Here, the seller is paying a total of 5% of the purchase price, or $12,500. In this transaction, the lender is charging an “origination fee” of $1,735.00. This is the fee for procuring the loan. The lender has also charged the borrower for an appraisal for $425.00 but the initials “POCB” means it was paid for outside closing by the borrower. There are also small charges for a credit report and flood certification. The borrower is responsible for paying interest on the new mortgage loan from the closing date to the first day of the following month. That’s why most closings take place at the end of the month. The borrower is charged one day of interest of $32.54 (line 901). As this borrower is not putting 20% down, this particular loan requires mortgage insurance of $2,412.50 paid at closing by the borrower (line 902). The vast majority of mortgage lenders require borrowers to fund a real estate tax and homeowner’s insurance escrow account. Occasionally, a lender will waive the escrow for a fee or small interest rate increase. This is an aspect of closing costs that many borrowers have difficulty understanding. The escrow account helps you and the lender anticipate and manage payment of property expenses by including these expenses as a portion of your monthly mortgage payment. Think of the escrow account as a small savings account for these expenses. An incremental amount of these expenses is added to your monthly mortgage payment, in order to cover these expenses when they are due. The lender will pay, on your behalf, the real estate taxes due on a quarterly basis, as well as the homeowner’s insurance for the following year. Each year, your escrow account is reviewed to determine if the amount being escrowed each month is sufficient to pay for any change in your real estate taxes or homeowner’s insurance premiums. At closing, the closing attorney will collect sufficient funds to start your escrow account, typically 2-3 months worth of real estate taxes and up to a 12 months of homeowner’s insurance. In this case, the borrower must fund the escrow account with $817.12 (line 1001), which consists of 3 months of homeowner’s insurance and 2 months of real estate taxes. Remember, when you sell your home (or refinance) you will recoup your escrow account monies. The line 1100 series shows the fees associated with the title examination, closing attorney fees and title insurance. In all transactions the lender requires the borrower to pay for lender’s title insurance and the settlement or closing fee to the closing attorney. In this transaction, the borrower has opted to purchase his own owner’s title insurance policy which protects the owner’s property and is highly recommended for many reasons. Read our post on title insurance here. So the borrower is charged $1,799.00 plus $477.50 for all the title work, closing attorney and both lender’s and owner’s title insurance premiums. The fee for reviewing and drafting the purchase and sale agreement is also included in the settlement fee on line 1102. The county registry of deeds imposes fees for the recording of the deed ($125) and mortgage ($175) which the borrower pays. The borrower also paid recording fees for an “MLC” which is a municipal lien certificate and a declaration of homestead. The seller pays the fee for the release ($75). The seller also pays a state transfer tax of $2.28 per $500.00 of value. That’s basically it. Remember that closing costs differ widely between lenders, loan products, loan amounts, and closing attorneys. Make sure you ask to review the HUD Settlement Statement prior to the closing. It should be ready the day before or that day. Again, you should always speak to your mortgage professional about closing costs before you arrive at the closing table. If you would like to speak with our office about handling your purchase or refinance transaction, please contact us at info@titlehub.com and check out our website at www.titlehub.com. Thanks! Sometimes the best blog posts are the frequently asked questions from our clients. With interest rates at all time lows, we’ve been doing a ton of refinance closings. Here are 5 questions which often come up. 1. Why does the payoff of my existing mortgage seem higher than I thought? In many cases, borrowers will focus only on the “principal balance” figure in their mortgage statement. However, this figure does not provide the complete figure necessary to pay off the loan. You must also pay any unpaid interest calculated up to the time that they actually receive the payoff check. Mortgage interest is not like traditional rent in which the monthly payment is for the upcoming month. Mortgage interest is paid in arrears, or backwards. Thus, your monthly mortgage payment is allocated partially to principal, but also pays the daily interest accumulated during the last month. Therefore, if your refinance loan is funding on August 15, we must pay off your existing principal balance plus the interest that accumulated from August 1 to August 15 (plus additional days necessary to get the payoff check to the bank). That unpaid daily interest makes your payoff is higher than just the principal balance. Frequently included in your payoff is also a $75.00 registry discharge recording fee and a fee to issue a payoff statement (usually between $10.00 to $60.00). 2. What is an escrow account and why is my lender collecting so much money for it? An escrow account is established with a lender to pay for recurring expenses related to your property, such as real estate taxes and homeowner’s insurance. It helps you to anticipate and manage payment of these expenses by including these expenses as a portion of your monthly mortgage payment. At the time you establish an escrow account, your annual real estate taxes and homeowner’s insurance are estimated, based on your most recent bills and premiums. An incremental amount of these expenses is added to your monthly mortgage payment, in order to cover these expenses when they are due. Each year, your escrow account is reviewed to determine if the amount being escrowed each month is sufficient to pay for any change in your real estate taxes or homeowner’s insurance premiums. At closing, we will collect sufficient funds to start your escrow account, typically 2-3 months worth of real estate taxes and up to a 12 months of homeowner’s insurance. 3. Why is my lender escrowing money for my homeowner’s insurance if I have already paying it? Although you have paid the first annual premium in advance, the lender needs to begin collecting money to pay next year’s annual premium. Since the lender will be paying the annual premium for you next year, they need to be sure that they have enough money in their account to pay that bill approximately one year from your closing. Because you will not make a mortgage payment in the month after your closing occurs and the lender usually pays the bill in the month before it is due, you will likely only have made 10 payments by the time they pay the bill. Thus, they need to collect 2-3 months at closing so that they will have sufficient funds to pay the bill. 4. When will my refinance proceeds be available? Federal law requires that borrowers of a refinance loan must be given three days to rescind the transaction. This is commonly referred to as the “three-day right of rescission.” You cannot waive this right of rescission. Therefore, your lender cannot fund your loan until such rescission period has expired. When calculating the rescission period, the day that the closing occurs, Sundays and Holidays are not rescission days and are not counted. Thus, if your closing occurs on a Thursday, it will fund on the following Tuesday (Friday, Saturday and Monday being the three rescission days – Thursday of closing and Sunday not counted). 5. Should I pay the next tax bill due after my closing? If your next tax bill is due within 60 days of closing, our office will administer payment that tax bill. The lender will require our office to take the necessary funds from you at closing and pay that tax bill. This is the case regardless of whether you are escrowing your taxes with the lender or not. If you are escrowing taxes with the lender, our office will administer payment of tax bills due within 60 days and the lender will administer payment of any tax bills thereafter. If you are not escrowing your taxes, we will administer payment of tax bills due within 60 days of closing, and you will have to pay any tax bills thereafter. If you would like us to close your refinance loan, please contact us at 781-247-4250 or at info@titlehub.com.